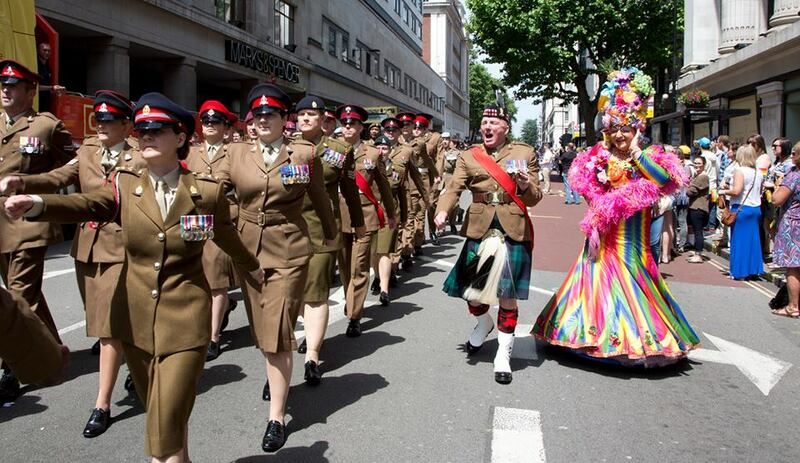 The Army fielded its largest ever contingent for Pride in London on 29 June 2013. 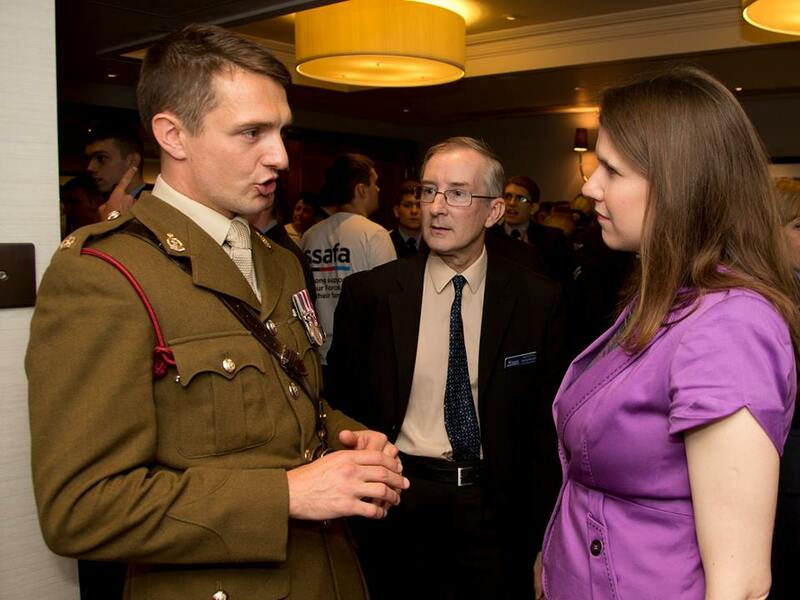 Before the march, the Parliamentary Under-Secretary of State for Women and Equalities, Jo Swinson MP, spent time with LGBT soldiers. WO2 Graham of the Black Watch marshalled men and women from an impressive array of cap badges: the RE, RS, Infantry, AAC, RLC, RAMC, REME, AGC, RMP, Int Corps and QARANC were all represented. 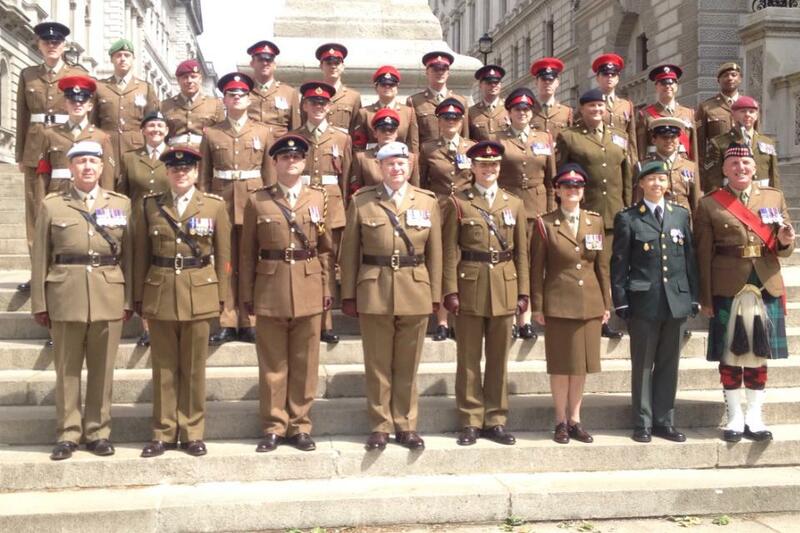 The parade ended with the now traditional salute at the Cenotaph, followed by a reunion at the Union Jack Club to toast Armed Forces Day. Well done to the RAF for making the arrangements on the day and here’s to a fabulous turn out next year!